I will always remember my first middle school dance, awkwardly surrounded by teachers and parent chaperones, wondering if my hair was still curled and if my makeup was “too much.” I’ll also never forget falling up the stairs in our main hallway, not realizing until much later that the only person judging me was myself. And who could forget the not-so-fond memories of angst-filled locker rooms and the lingering scent of body spray that followed us to every class period? We all have our own similar memories of middle school experiences, and they tend to come flooding back as our own children reach that age. Moving up to middle school is often the first major life transition that children experience. They suddenly find themselves in liminal space, unsure of their new role in the world. They’ve certainly grown from who they once were, but haven’t yet arrived into their future. This major threshold of life can be both exciting and challenging, and parents eagerly seeking to help their children adjust can look for opportunities for their tweens to build independence and a healthy sense of self. There’s no better place than summer camp for children to prepare for this major transition. Middle school takes us far outside our comfort zone—quite literally. Many districts transition students into a new building when they enter sixth grade, creating a whole host of new challenges. Studies have shown that this building shift is incredibly significant, even impacting academic achievement over time. Your children are suddenly navigating a much larger school than they’re used to, independently finding their way while switching classes. Not to mention, they’re also charged with the new responsibility to be on time! Succeeding in this new environment can be difficult if your child hasn’t engaged in activities outside the walls of their elementary school. Summer camp provides a valuable opportunity for your child to gain confidence in new surroundings. They’ll be moving through a much larger environment with guided independence, finding their way to different activities, and learning to feel comfortable in an unfamiliar place. A camp schedule packed with social and individual pursuits helps your child move quickly between different locations through their day, providing the perfect context for switching classes in the months to come. In fact, a camper spoke with me just this week about how she thought camp was like middle school. Surprised and a little worried, I asked her to elaborate. She explained that because the Kennolyn schedule calls for campers to go from activity to activity independently, she felt better about leaving the static elementary classroom for a day of switching classes. I was almost as relieved as she was. Remember walking from your cabin to the barn every morning to take care of the horses? That was even further than you’ll have to go to get to English class! I know you can do it! Switching classes is just like following the camp schedule every day. Everyone will be going together, and there will always be teachers (just like counselors) nearby if you need them. 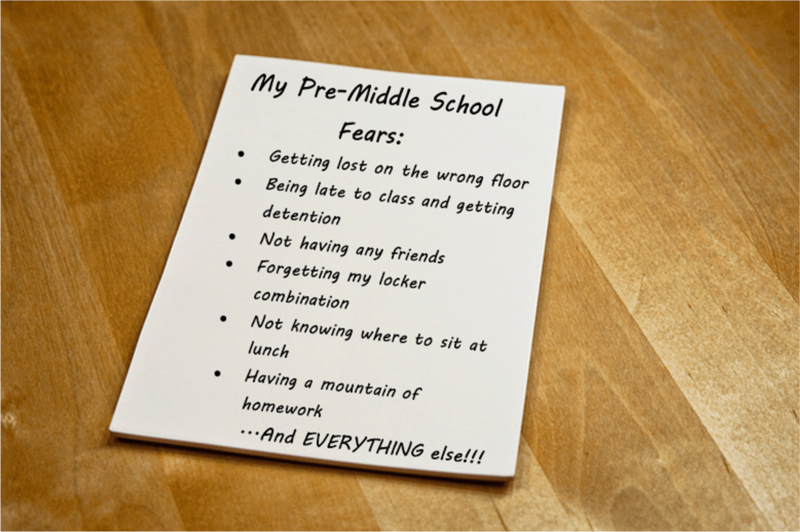 If your child is concerned with the academic and extracurricular challenges of middle school, they are most definitely not alone. This is when they’ll make tough choices between music, athletics, and arts, and there are a limited hours to fit everything in. Coursework becomes increasingly difficult, and academic preparation for this transition is even more important. Your child is entering a stage in life where their brain will be working overtime, more than ever before. Aside from preparing your child with extra workbooks, tutoring, or outside of school classes, you may want to give them a different kind of mental stimulation at a traditional summer camp. The benefits are undeniable and activity choices let your child get a taste for the electives they might want to pursue during the school year. You may also find that they develop a hobby to continue outside of the school day. Your child’s mind will be engaged at all times as they participate in detective activities, problem-solving, and critical thinking. Middle school classes will be a little harder than elementary school, but you’ve already solved major mysteries at camp. You’re prepared for any assignment! I know that choosing an elective can be difficult. Which activities at camp did you enjoy the most? Which would you like to repeat next summer? Though they may not be aware of this at the time, one of the toughest obstacles of the middle school experience for every child is the emotional and relationship changes that take place. Everything is in flux: from puberty and development to boy/girlfriends and shifting social groups, very little will remain the same after elementary school ends. Particularly if your child’s middle school incorporates students from multiple elementary locations, the new society can be tough to navigate. It can also be difficult to interact in a school full of older kids who are bigger and seem more experienced. A new development that parents today didn’t experience is the advent of social media in the lives of our children. When middle school hits, children start to feel the pressure of social media and all that can go with it. Between the hours of daily screen time and the complicated social interactions that can occur, these apps can make these transitional years even tougher. Thankfully, belonging to the community of an excellent summer camp can provide a balm for these fears. Summer camps with minimal tech truly give kids the chance to focus on the people around them and to build new relationships. 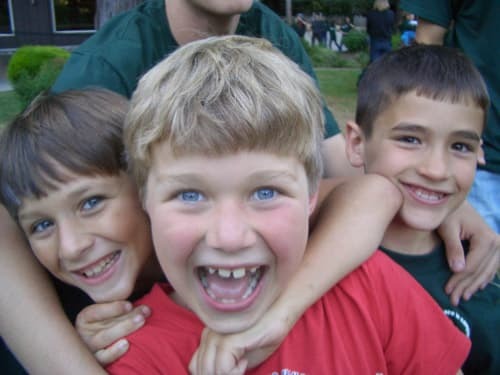 Children often make instant friendships at camp and learn that friendships are fluid and ever-changing. They learn to find their place among peers as well as older campers, because everyone is united by the same meaningful traditions. 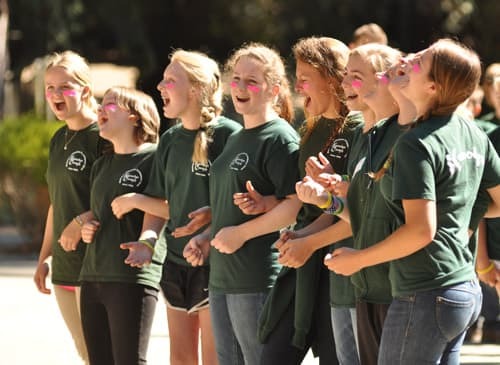 Just like middle school, summer camp introduces your child to students of all ages and from all different schools—becoming the perfect primer for bridging the elementary/middle school gap. There will be plenty of new students of all ages at your middle school. It’s just like the community at Kennolyn! You’ll feel at home in no time. Remember how easily you made a few best friends at summer camp? Middle school will give you the same chance. And who knows? You might run into other kids who attended camp with you! With plenty of preparation and loving conversation, your child will be ready (enough) to tackle the challenging transition to middle school. 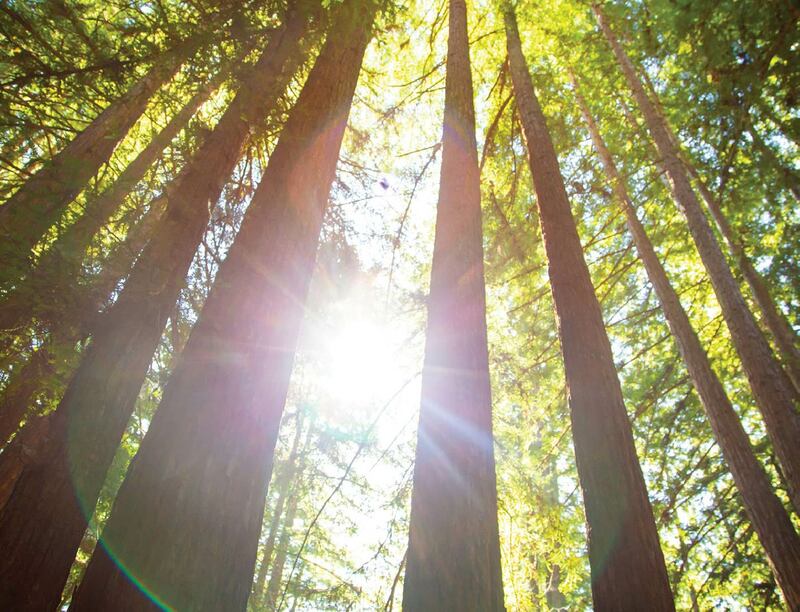 Their experiences at summer camp apply helpfully to their new environment, academics, and relationships, and they’ll already have the confidence they need to be successful. Plus, knowing that camp is coming again next summer, just around the corner, can be something for your anxious child to look forward to at the end of a successful school year. At Kennolyn, we fully believe that summer camp is an excellent option to help prepare your growing elementary-aged child for the big middle school shift. Our counselors and staff are trained to help every camper succeed at camp and far beyond. Contact us to learn more about how you and your family can be part of the Kennolyn community.